I can't believe I made Terengganu Lekor !!! Inspired by Kathy of Small Kucing and Kristy of My Little Space....I took some from Kathy's and some from Kristy and guess what, I got a good combination and the lekor turned out wonderful. I thought the making entails lot of work but actually it was the washing up that is tiring :) but it was worth all the efforts. It was really a delicious snack and what more homemade ones are much more healthier . Homemade ones are not so fishy as to the one being sold by the traders, reason being those sold ones, they use all kinds of fishes thus giving them the unique taste and aroma :p I suppose it is the unique taste and aroma that people prefers those sold ones. For my overseas readers who have not heard of this Lekor, here is an excerpt taken from Wikipedia for your information. 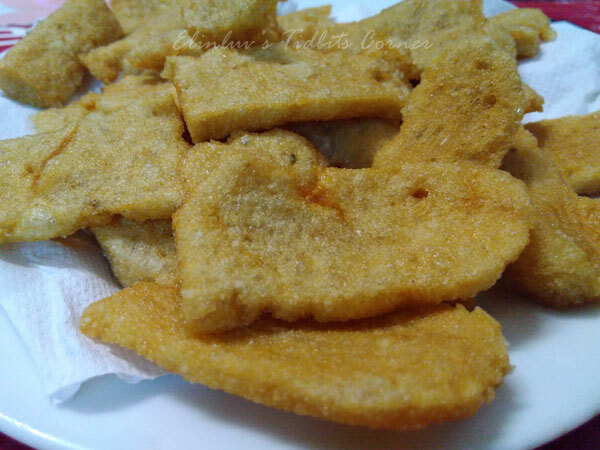 Lekor or Keropok lekor is a traditional Malay fish cracker snack originated from the state of Terengganu, Malaysia. 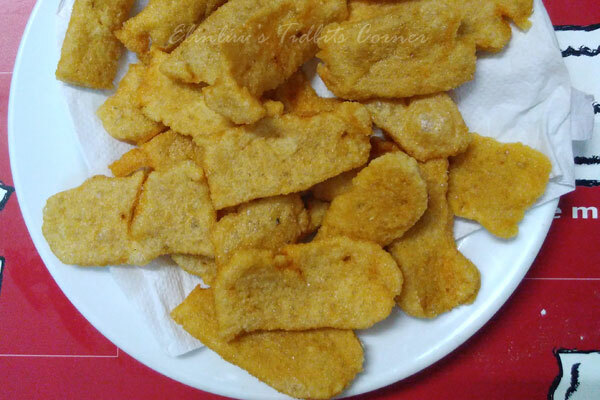 It is also called fish sausage, fish stick, or fish fritters. It is made from fish and sago flour and seasoned with salt and sugar. It is slightly greyish in colour and tastes fishy. The fishy smell increases when it cools down. The origin of the word "Lekor" is said to be derived from Terengganu Malay which means "roll". It is usually made by grinding fish or vegetables into a paste, mixing it with sago and then deep-frying it. It comes in three main forms: lekor (which is long and chewy), losong (steamed) and keping (which is thin and crispy). It is frequently served with dipping sauces. There are two types of Keropok Lekor; Keropok Lekor Goreng and Keropok Lekor Keping. 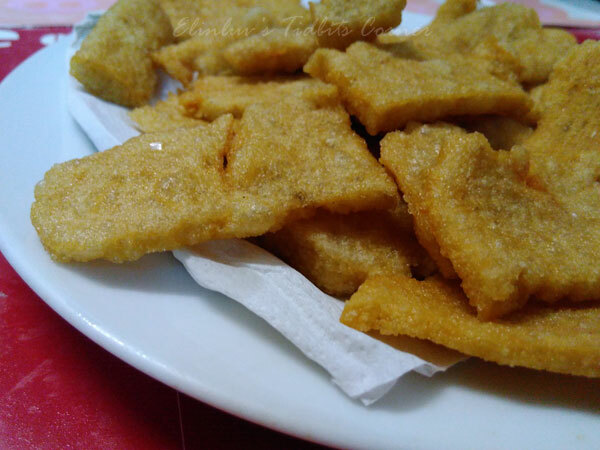 Keropok Lekor Goreng is shaped into sausage size and tastes more chewy, whereas Keropok Lekor Keping is shaped into slices and has crispier texture. Keropok Lekor is eaten with Terengganu’s homemade chili sauce. arrange them on greased pan. it was GOOD eating them boiled or deep fried. crispy on the outside and springy chewy on the inside...YUMMZ! The fish paste looks better by using Sago flour. Good job !